Finding best gifts for boys on Valentine’s Day is not an easy task. The month of February is very special for every young person but especially for couples. It’s time to show love, passion, and affection towards your loved ones. It’s time to buy a gift for your Valentine. Many people around the world celebrate Valentine’s Day by showing appreciation and affection for the people they love. Some people take their loved ones for a romantic dinner while others may choose this day to propose or get married. Many people give greeting cards, chocolates, jewelry (yes, boys too wear some pieces of jewelry) or flowers, to their partners on this day. Bluetooth speakers are so in nowadays. Boys love to party and Bluetooth speakers surely comes in handy. You can find the speakers on any online site and offline too. Best part is that these are available in all budgets. So, whether you want to buy in 500 or 5000, you will find something here. It is said that watches are men’s best friend. No man is satisfied with a single watch. A watch is the only accessory that a man can wear on a daily basis. So, gift your man classy watches that suits him and let him slay all day. Everyone wants to feel fresh and smell good. There is no need for you to pay more to get a good deodorant. Nowadays, more than ever before, reputable brands are coming out with affordable variants, and there is no need for you to go over your budget. So go ahead and explore! Men do not miss any chance to flaunt their sunglasses. There are various brands that sell sunglasses with different price tags. You can easily get sunglasses of your choice according to your budget, be it less than 500 or more than 10000, you will find far too many choices. It’s all about the romance of a cozy, candlelit dinner that minus the stress and enjoy the wonderful date. You don’t have to spend much on a dinner date but you can plan a themed dinner and a movie date. Valentine’s Day doesn’t have to be fancy or expensive because it should be about spending time with your favorite person. If your boy loves to read, then Kindle is the best choice. Kindle, a small hand-held electronic device for reading books is the best gift for those who love to read books. There are various variants available in kindle. If you have a good budget then mobile phones can be the best gift for your partner. No, you don’t have the make a hole in your pocket. You can get good phones in even 4000 rupees or maybe even less due to special Valentine’s Day offers. Your partner will certainly love this. Boys love the gym and for a man who is fitness conscious and love doing exercise would love to be a gifted Gym membership. What else a gym lover wants? You can take help from one of your friends or check the reviews of the gyms in your area or just go and see it for yourself. Choose whichever you find the best for your man and fitting in your pocket too. You can even buy a one month or three-month membership. If your partner is a music lover, then what is better than wireless headphones? Wireless headphones are pretty trendy and boys love to flaunt the accessories. Go for it girl. And they will fit in your budget too. If your partner goes to the gym or even works out at home regularly, gift him a Gym kit. It can be anything from gym accessories – tees to shoes to gloves to gym bags or the whole gym kit. One can find it in all the price range. You can get it from any online shopping site with huge discounts due to valentine’s day sale. 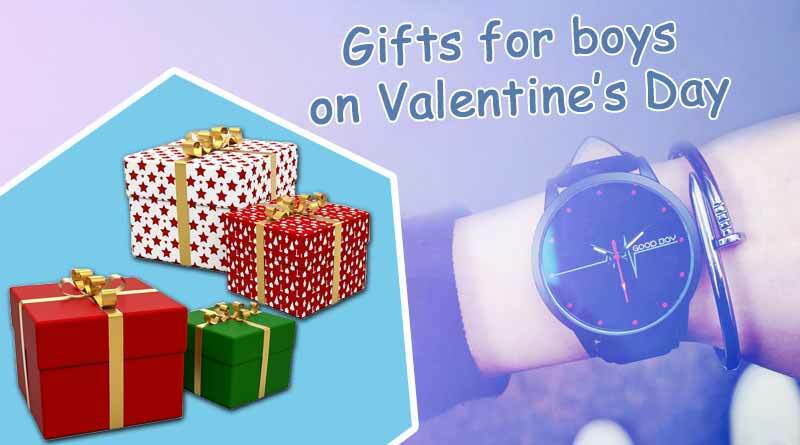 We are sure you would certainly find our list of best gifts for boys on Valentine’s Day useful, do Subscribe to our newsletter and follow us on Facebook, Twitter, and Google+.